What: MQG Victoria Potluck Picnic Social! We're skipping the business portion of our meeting and getting straight to the fun stuff this month. When: 6:00-9:00pm, Thursday, August 21st, 2014 Early start time tonight! 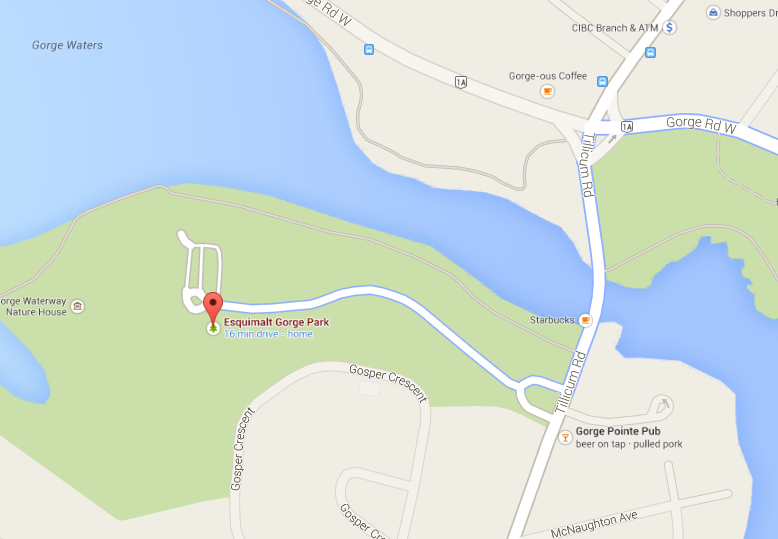 Where: Esquimalt Gorge Park, the large group picnic tables immediately beside the parking lot. Transit: Your best bet is the #26 which travels along Tillicum, or the #11, which travels along Gorge (you'd have to walk over the bridge to get to the park, ~10 minutes). Parking: there is lots of spaces for lots of cars. a potluck food item to share with 5-8 people. Plates, cutlery, napkins and a beverage for yourself. Alcohol is NOT allowed. HST blocks if you want to hand them in. Games supplies if you want to participate: a FQ of modern fabric, or solid fabric; a metre of ugly fabric or fabric you don't like anymore; a pair of thread snips might be handy too. whatever else you need to be comfortable outdoors in the evening. We will be sharing our Michael Miller Challenge projects at this meeting and we’d like to ask people who have already shared their completed projects to bring them back for a group photo. Members with completed challenge projects will each receive a ticket towards a random prize draw. BOM - did you make your circular cabins blocks already? Great! Save 'em until September! Haven't started yet? You've got an extra month! remember the Pacific North West Modern Quilt Guild meetup is this weekend in Vancouver. Details are HERE. See you at the park on Thursday!